Built around a patented application specific integrated circuit (ASIC) supporting 226 universal channels for GPS, GLONASS, and Galileo tracking, Topcon Positioning System’s (TPS) Vanguard technology lies at the core of the company’s new product line. In September, TPS launched the B110, an ultra-compact board capable of providing scalable positioning from sub-meter DGPS to sub-centimeter RTK positioning that incorporated the Vanguard ASIC. The company recently announced the new HiPer SR, an GNSS RTK receiver with a compact and lightweight design based around Vanguard technology, with the most compact of any fully integrated precision receiver available worldwide. 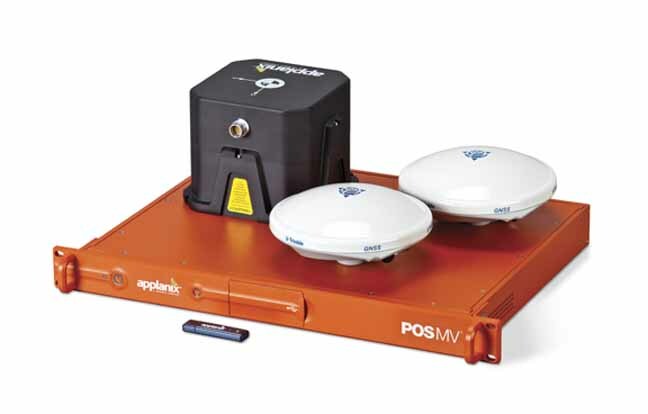 Now Vanguard is being integrated into additional Topcon and Sokkia GNSS receivers. With Universal Tracking technology and 226 channels available, all current and upcoming GNSS constellations can be tracked, according to TPS. Vanguard includes several exclusive solutions: Quartz Lock Loop for superior signal processing in heavy vibration applications, Universal Tracking channels for all in view tracking, and Intelligent Tracking Optimization to select the best combination of available satellites. · reduced power consumption to prolong battery life. This month TPS also introduced its IP-S2 Compact+, a mobile mapping system designed to accurately measure objects even in adverse weather conditions and enclosed job sites such as tunnels and mines. Topcon’s IP-S2, launched in 2009, introduced a vehicle-mounted mobile mapping system incorporating high-precision GNSS receivers, IMU (inertial measurement unit), vehicle wheel encoders, 360-degree camera, and laser scanners. The new IP-S2 Compact+ vehicle-mounted system has improved scanner orientation to optimize visibility of roadside assets. The system is available in two configurations: a three-scanner standard model or a five-scanner system. The three-scanner system gives a 360° vertical field of view. The five-scanner system increases cloud density, minimizes scanning shades, and collects 150,000 points per second with a range of 40–50 meters. Planned for release later in 2012, the IP-S2 Compact+ can be purchased with a high accuracy commercial grade or a tactical grade IMU. The commercial grade IMU is a non-ITAR restricted device without export control.